I don't think this is a promo at all but a bonus single that came with a limited UK edition of Unleashed In The East. As the other comments states, the only way to get it was with the LP. You should note with this entry that the only way you could get this 'promo' was with 1st early issues of 'Unleashed in the East' JP LP. This is noted with the LP entry but simply listing it as a separate 'promo' is mis-leading. Also, I'm certain it came in a plain white sleeve, not a CBS sleeve as pictured. 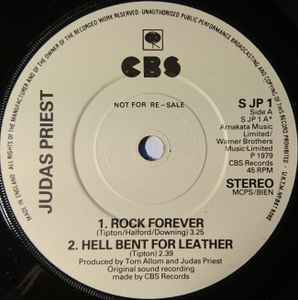 This single was given away with the earliest copies of the album 'Unleashed In The East'.